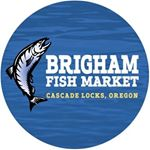 Brigham Fish Market - Cascade Locks, OR - Fresh Fish Caught Daily! Wow! 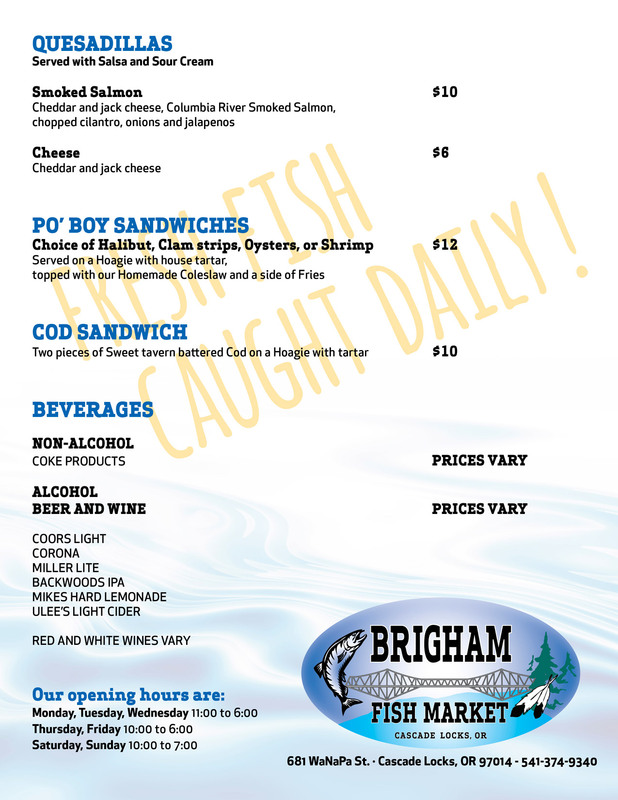 Clam chowder, salmon chowder and sturgeon fish and chips, out of this world! The coleslaw was superb. Friendly staff, efficient service. This place is great for a quick, tasty meal. Delicious clam and salmon chowder. Butterfly shrimp was amazing. Staff was super friendly, will return ! 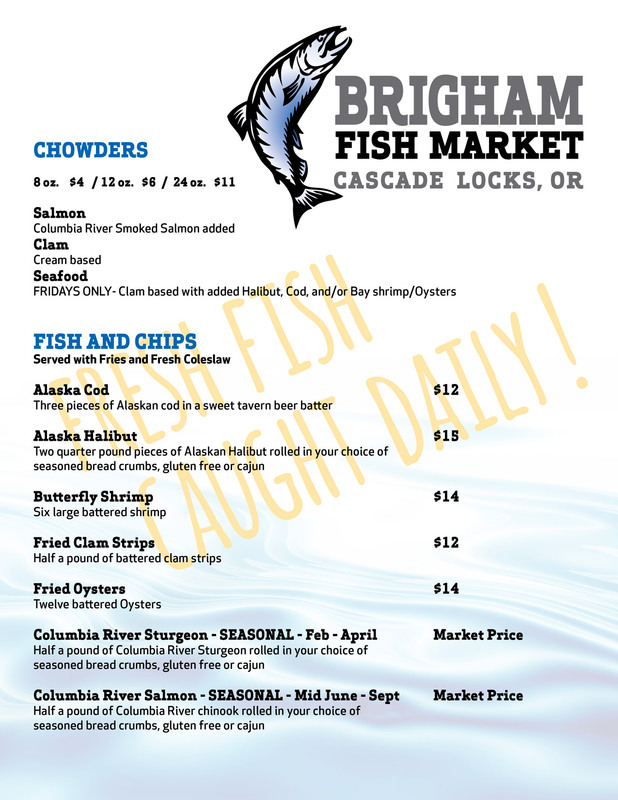 This is a fish market that also sells Fish & Chips, and Clam or Salmon chowder. There is a small eating area for about 20 people. The employees are very knowledgeable about the fish they sell. They made good recommendations and backed them up with solid rationale. My wife and I ate there, and both had Halibut fish and ships and shared a small salmon chowder. I have never ordered fish and chips before when I could select what kind of fish I wanted (see menu photo). The market breads their own halibut. Fish for sale is clearly marked whether fresh or frozen. Salmon is local. They don't offer formal table service, but they do bring the food to the table and bus the table when we are done. 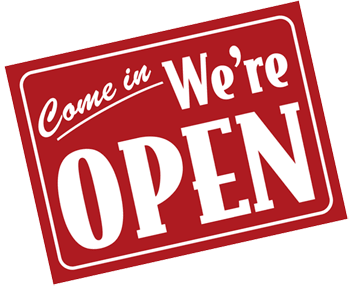 There is self-serve water available for free and soft drinks available as well. Simple, but exceptional taste and service. Very friendly staff. I'm a loyal customer now! Note: I took 3 photos and posted them with permission from the business. Best clam chowder ever. Other chowders too delicious. Fresh Salmon. Best smoked salmon dip and smoked Salmon. I love this place Owner and staff 5 star. Today I had fish and chips. Won't go anywhere else now. Several choices for fish Cod, Halibut, Sturgeon, and my new fave I had today Salmon and chips. Even the fries were stellar.